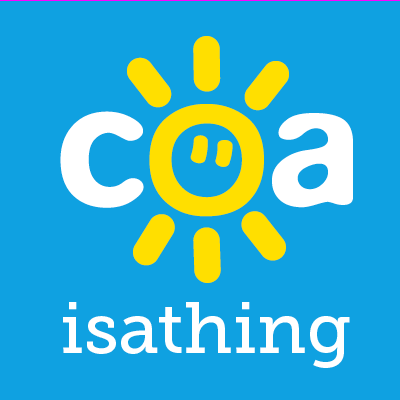 Stronger Than Any Other – Being a COA is a thing! This is the second piece written by Lyz Shaw and shows just how complex life can be when you have a parent or parents that drink too much. If you feel impacted as a COA then Nacoa can offer support. If you would like to share as a COA then please get in touch. Without wittering on over the same old stuff I wanted to release my anger through a love for writing. I finished my last blog with a hatred for my alcoholic Father who my “functioning alcoholic” Mum kicked out after my daughter was born in 2015. My Mum kicked my Dad out three months after my daughter was born. After numerous nights coming home from work to find him having epileptic fits because he had drunk himself into Oblivion. She’d walk in from a 11 hour shift to find him on the floor, faeces laid around him. Three years later my ‘father‘ is living the life of Riley under the council’s authority. He has a cook, cleaner and gets a daily allowance of £25..to spend on alcohol. He has a driver that takes him to the corner shop because he’s lost the use of his legs. His doctor has said if he stops drinking he will die, so he has to drink…he may as well have a prescription for two litres of vodka a day. He now has wet brain (Korsakoff Syndrome) and hasn’t seen any family or bothered to contact his three daughters in three years. He’s a bum, living the life of a lucky batchelor..he doesn’t need to lift a finger, only a hand that holds a bottle, to his lips. Where’s my mum? The one who changed her entire life for her granddaughter, the woman who stopped drinking the day he left the house, the one who has cared for my daughter when me and my husband had to work, the one who never moaned when my daughter was with her. The woman whos world lit up when my daughter ran into her arms nearly everyday? The one who did anything and everything for us in the past three years? My mum was the nightmare when I was a kid, she didn’t hide her drinking, after work she would come home and down two bottles of wine. She was Jekyll and Hyde..the loveliest woman you could meet sober…that one too many glass of wine and she would tear you in half with just a look. I hated her. She died on the 7th January 2019. Just two weeks later I’m writing this post. In the three years she kicked my father out, she discovered she had Chrones disease, the ‘off‘ feeling she had in her stomach daily wasn’t because of the dread of what she would find back home, but her own body attacking itself. She only found out when he left the house and her pain continued and she finally went to the doctor. In 2016 she also found she had problems with her intestines..a problem from drinking maybe? I’ll never know. In July 2018, she heard the words “You’ve got cancer.” An epiphany overwhelmed her, she wasn’t going to die, she would have surgery, chemo, radiotherapy…she would kick Cancer in the balls. She wasn’t going to be another statistic, she was going to fight it because she wanted to see her Granddaughter grow up. I took her to every single hospital appointment, every scan, every doctors appointment. I left my job at a funeral directors to make sure she could get to every appointment she needed to. I spoon fed her morphine, I put cream on her bed sores when she was unable to get out of bed. The night of the 7th January is a night I’ll never forget. After a five hour struggle in intensive care she fought her second dose of sepsis and pneumonia. I pleaded with the doctors to let her rest. “I want her to have her dignity and I want her out of pain.” Were my words. I was the one who took off her nebulizer that was keeping her breathing. I held her hand and told her to sleep, we would be OK. And that she, had been the best Gan Gan (Gran to my daughter) I could ever have wished for. I apologised in her ear as she took her last breath just ten minutes after being taken off monitoring. I closed her eyes and sat with her. The same thing I did when my last port of call in a storm died…my Gran. I will forever blame myself but I blame my Father more. He didn’t give her cancer, he didn’t give her Chrones. But maybe, just maybe, her heart could still be going if she had got rid of him sooner. Does my “Father” know his wife is dead …No. Will he care…Not one bit. Alcohol is a poison, it’s a drug that will forever be legal but will always be the one that kills more than any other drug. My dad was the secret drinker, and the man who, when given a new life as a granddad chose vodka over her. The last three years, my mum made up for it. She was my best friend. The one I called everyday, the one who changed her life for us. Those of us who have been forgotten to the devil’s juice are strong. Stronger than any other. Life isn’t fair, life isn’t bloody easy, but one thing we have to remember is to get through it together.